Rev. Quentin J. Morris, Sr. and the Tremont Temple Missionary Baptist Church Family invite you to celebrate our 97th Church Anniversary beginning Tuesday, April 23 and culminating on Sunday, April 28, 2019. The theme for the celebration is “Growing Stronger, Digging Deeper, Rising Higher”. Isaiah 40:31 But they that wait upon the Lord shall renew their strength; they shall mount up with wings as eagles; they shall run, and not be weary; and they shall walk, and not faint. Our 97th Church Anniversary An Anniversary is a very special occasion. It is a special day when we remember and celebrate something important. Next month, the fourth Sunday in April, the Tremont Family will be celebrating 97 years! What a blessing!! We invite you to come together to celebrate a great week of fellowship. Plan now to be a part. Tuesday, April 23rd: Rev. 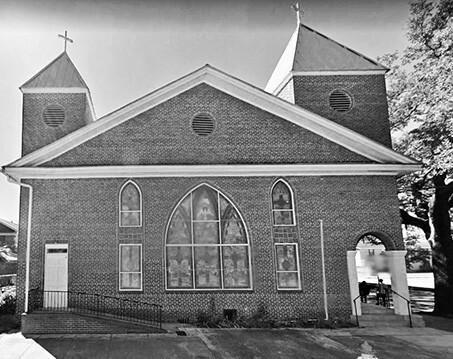 Vernon Galloway & First Union Missionary Baptist Church Wednesday, April 24th: Rev. Aaron Cummings & St. Luke Missionary Baptist Church Thursday, April 25th: Rev. Da’Henri Thurmond & St. Paul CME Church Sunday, April 28th: Dr. Marcus Gibson of Greater Shady Grove MBC of Columbus, Georgia. Be a part of the celebration! Be represented in our 97th Church Anniversary Souvenir Booklet. For details contact the church office at (912) 234-0167.